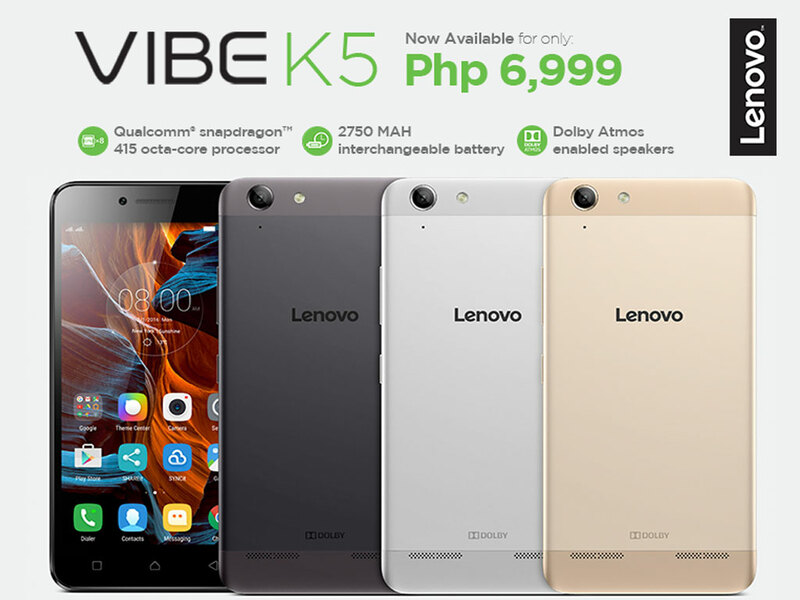 Finally, Lenovo Philippines has officially announced the availability of the Lenovo Vibe K5 in in the country. The Lenovo Vibe K5 sports a 5-inch IPS display, 1.4GHz Snapdragon 415 octa-core processor, 2GB memory, 13MP rear camera, 5MP front camera, 16GB of internal storage (expandable), 4G/LTE, 2750mah removable battery and an out of the box Android 5.1 Lollipop. While the specs are good, some people were disappointed with the pricing as the earlier pricing in India is RS6,999 or around Php4.8k and the official SRP released here is about Php6,999 (or 7k). The Lenovo Vibe K5 is now available to buy on all local Lenovo authorize outlets.